Anyway, I tried my hand at Y!j auction for the first time last month. 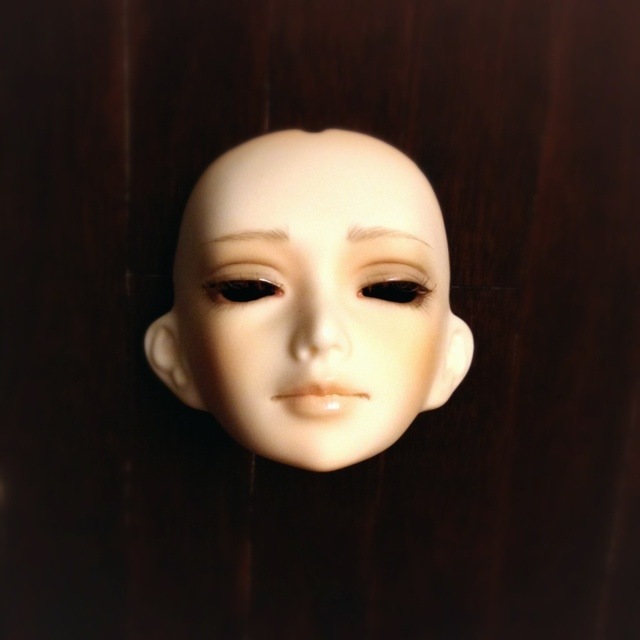 I had seen these lovely Unoa “Decadent” face plates all over the instagram (me and those sleepy eyed boys<3) and wanting an Unoa boy for sometime now I thought I would sneak around Y!j. Low and behold this beautiful guy popped up. So after hearing a little voice (through imessage to be exact) saying “go to Noppin and get him”. So I did. As expected there was a mini bid battle for him right before it ended (while I was at the farmers market and when my phone decided that I really did not need to see the last ten minutes of the auction ಠ_ಠ). But I won any way. In person it is gorgeous and I can not wait to get a body for him. By the way, Noppin is way too easy and seriously fast… This is not a good thing for me.